Indignation burned within Josephine, hotter than all the fires spreading throughout Northridge. She spun low under a bandit’s sword and smashed her hammer into his calf. Bone crunched. He fell screaming, and Josephine let a rush of satisfaction wash over her. His blade claimed Alain’s life. He deserves worse. Why should I not be pleased when Justice is served? There was no time for delight. Another pair of bandits pushed back the town’s defenders near the Folly, where many of the women and children sought refuge. Protect the innocent, Jo. Her father’s command echoed in her mind. He’d hammered at the Kem before dashing out the gate, to draw its attention away from the town. Not sure how long he can keep up with that beast. Josephine stared into the darkness of the woods, listening for any sign of Camden. I need to go find him and help. But I can’t abandon the weak. She turned back to the fight, facing Kal’s men. One of Northridge’s wounded defenders crawled away, clutching a bloody leg. A bandit jammed a spear through his chest and pinned him to the ground. The man cried out and struggled to free himself, and the bandit laughed. Josephine stepped back to avoid a sweeping blade. She lashed out with her shield and heard a grunt as it crashed into another enemy’s face. She swung her hammer through an overhead arc and battered the helmet on the other side of her shield. Two of the bandits moved in a paired formation, disabling defenders with swift and fatal strikes. Several men and a woman writhed and groaned in their wake, bleeding out into the dirt on the street. Josephine felt a tingle from her Gracebrand and invoked the soul of Justice with a thought—Show me what should be. She gasped. Glimpses never lied, though they could be misinterpreted. There’s no mistaking the meaning of this one. These men are military-trained. They know better. 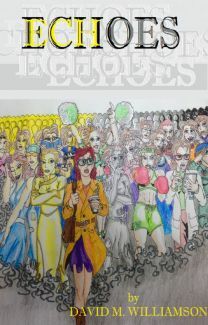 Josephine called out to them, “What of your vows, soldiers?” She picked her way around bodies and approached. “A true Lightsworn of Aulivar would rather die than desert his brethren or betray his oaths.” Though they hardly deserve that title anymore. The one on the left had a nose like a pig snout. He sneered at Josephine and beckoned her with his sword. The bandit on the right turned toward her. Flames on nearby homes revealed a long scar down the man’s cheek, obscured by his disheveled black hair. “I seen enough do just that, little Soulforged,” he said. His eyes showed no pleasure. Josephine raised her shield and closed into melee range. A mental image of a narrow mountain path formed in Josephine’s mind, the trigger she’d learned to invoke the mindset of Justice. With that, her Gracebrand could show her the inclination of both men toward right or wrong. No need to Peer in this case. It’s pretty obvious. She noted the one she called Scar stood calm facing an oncoming Soulforged. No, I won’t give him credit, even for that. Pigsnout laughed and spat, sword and dagger readied. Scar remained still, thin longsword hanging down like he lost the will to fight. Scar lunged, his blade a blur of thrusts testing Josephine’s defense. Most bounced off her shield, but twice she felt a sword prick through her thin leather leggings. Down the street near the Woodwall, Camden flew past the gate and slid backwards through the dirt, kicking up a cloud of dust. The hulking crimson form of the Kem stomped past the destroyed gate. It grabbed the wall, tore off a log to use as a club, and swung with both hands at the battered Soulforged. Camden rolled to the side and dodged its crushing strike. Dad needs me. Josephine snapped her focus back to the bandits before her, blocking a sword-thrust aimed for her head. I have to finish this quick. Pigsnout moved around to flank her, stabbing with the dagger to distract before thrusting or slashing with the sword. Josephine backed away and kept her shield moving, absorbing most of the hits. Her chainmail clinked whenever the swords struck, but the armor held. Scar’s blade snagged in one of the metal rings, and he thrust forward attempting to break through to skin. Josephine spun away, the momentum tugging the chain free. I can’t take these two down by my own might. She invoked strength, and focused on the furnace of rage burning against injustice within her. The Gracebrand on her hand shone bright as she Strained. Divine power coursed through her muscles with a steady stream of energy that filled her like an overflowing cup. The cuts and slashes on her arms and legs closed together as if sewn shut. Pigsnout stabbed at Josephine’s left side with both blades. With the power of the Divine multiplying her strength, she thrust her shield up to deflect the attack. Bones snapped in Pigsnout’s forearms, and the blades flew. Josephine slammed her shield-arm out like a backhand punch and followed up with a skull-crushing hammer blow. Before Scar could react, Josephine flung her hammer and struck him in the throat. He fell to his knees, gasping for air. His sword rang on the packed dirt. “Mercy,” he pleaded in a hoarse whisper. She closed her eyes and swung her hammer in a sideways arc, ignoring the sickening squish when it struck. A swift death. Better than the agony my people suffer. Better than you deserve. With a deep breath and a quick shake of her hammer, Josephine charged the Kem. The Abbey is burning. Father is in there. Lyllithe dashed toward the whitewashed building, Binding air and Loosing water on burning homes along the way. The process of Refocusing, once foreign, now felt like part of her nature. She chided herself at the thought. It is your nature. You’ve got Aeramental’s blood. For all the good it’s doing. Fires still burned, spreading from house to house. After the first few volleys, a line of women and children passed buckets from the well. But once the bandits broke through the defenders, Elder Gammin led the defenseless to take refuge in the Friar’s Folly. Since then, the flames claimed several buildings. They will not have our Abbey. Lyllithe stopped a few paces from the lawns around the place of worship. Wherever the arrows struck, flames licked at the walls, leaving streaks of black. A thought broke through the mix of panic and determination, and Lyllithe smiled. Why not Refocus the fire away? She looked up at the fires and saw waves of elemental energy radiating out from each one. When she Bound some of the energy, the flames withered to half their strength. The power filled her, a discomfort that built up into agony. She struggled against resistance and exerted her will, forcing the elements to Refocus. Water burst into the air around the flames. They sputtered, but still burned weakly. So that’s why the Arcanists speak of complementary elements. Flagros does not easily Refocus into aqua, but it can be done. Screams nearby drew Lyllithe’s attention. A woman cradling an infant darted out the door of one of the unharmed houses, two bandits on her heels. Dalara, Haber’s wife. The sight of Haber’s body near one of the burned out buildings flashed in Lyllithe’s mind. Are you going to tell her why this happened, when it’s all over? Dalara dashed across the street and ran crying for help to one of the armed men defending the town. He turned and levelled a spear at the bandits. Elder Gammin? I didn’t expect him to be in the fighting. They laughed and squared off with the Elder. Do something. You have to help him. What do I do? What about the fires? The Abbey is still burning, along with half the town. A sudden realization struck Lyllithe. Refocusing isn’t just turning one element into another. It’s also for diverting the flow of one element to somewhere else. Lyllithe had only enough time to bind more flagros before Gammin fell bleeding. The bandits stepped over his corpse, looking toward the tavern with hungry grins. The energy bottled up within mixed with Lyllithe’s anger and guilt, churning like a volcano until a shout exploded from her throat. She stood quivering before the Abbey, arms spread with fingers extended like claws. No more. Her Gracemark shone in the dim light, though she had not attuned to any Passion. Not while I can do something to stop it. The bandits turned, and their eyes went wide at the sight of her. “You! The Ghostskin that killed Maz.” One of them pointed and laughed. “Look, Battin, she’s a scarrin’ Devoted. She can’t even defend herself.” They stepped toward her. She loosed the elemental energy. Arms stretched forward, mouth wide in a roar, Lyllithe poured out wrath. Streams of fire cut through the air, illuminating the street. Two charred bodies hit the ground, seared flesh crackling and flaking into ash. Lyllithe stood heaving at each breath, gritted teeth and clenched fists. And still the doubting voice whispered in her mind. Gammin lay dead, along with a score of Northridge townsfolk. The remaining bandits prowled in and out of homes and shops, looking for victims. They’re headed toward the Folly. They’ll kill everyone. Where’s Jo? Lyllithe turned back toward the Abbey. Flames still burned. Part of the roof over the sanctuary collapsed. Several Devoted evacuated the building, aiding limping townsfolk or dragging out those too wounded to walk. Finally, Marten appeared, directing his flock to safety. His eyes met Lyllithe’s, and his face twisted in confusion. Marten surveyed the scene, lingering on the charred bodies of the bandits. Then he looked back to Lyllithe, and his shoulders sagged as he sighed. He knows. Lyllithe’s heart tore in two. “I’m sorry,” she whispered. She turned and dashed toward the tavern. Josephine watched the Kem stalk her father. She scrambled up the stairs to the guard platform on the Woodwall. Dad needs more strength than his Gracemark alone can give. She remembered her father’s words—be strong for others—and invoked the Divine. Her Gracebrand flashed gold with each heartbeat, Pulsing endurance to sustain Camden in the fight. Camden’s hammer spun in his hand, and he danced around the howling Kem’s massive crimson body, dodging punches and kicks in between attacks. Radiance flared from the warhammer with each strike, as if a lightning storm hung directly over the town gate. Josephine caught herself staring. In all our sparring on the training grounds, I’ve never seen him move like this. She reached the ledge at the top of the wall and ran toward the gate. The Kem stood below, teeth bared, arms flailing in rage. It hunched over to fight Camden, but even so it had the height of two men. Black blood leaked from several bruises, yet it showed no sign of fatigue. Camden ducked and weaved, but the beast’s thick hand knocked him off his feet. He slammed into the wall and fell face down in the dirt. The ground shook with the Kem’s steps. It stood over Camden and raised a cloven hoof to crush the fallen Soulforged. Josephine watched as she ran, still Pulsing out strength for her father with her Gracemark. Her fingers tightened around the haft of her hammer. Tsadek, guide my strike. She sprang from the ledge of the Woodwall, arms thrown back for an overhead swing. The Kem spun around, its yellow eyes wide. Josephine’s hammer shuddered in her hand when it connected with the Kem’s left horn. The black bone the size of a forearm splintered and broke off, hitting the ground with a thump. The beast roared so loud Josephine felt vibrations in her chest. One of its hands clutched the stump of the horn. The other grabbed at her, and she batted it away with her shield. Josephine swung at the Kem’s arm, but missed. The momentum sent her off-balance, and she stumbled forward. There was an explosion in her head like an Arcanist’s display, and everything went dark for an instant. She felt air rush past her like a gust of wind, then something hit her from behind. Her eyes opened to see the Kem by the gate, a dozen paces away. The beast roared with glee. I’m on the ground. It kicked me across the street. Her ribs and muscles ached. She coughed up blood. I think it broke bones. The beast turned to face Camden. Get up, and bring this thing down. She shifted from heart to strength, and the Pulses ceased. The Gracemark flared as she Strained for power, and energy coursed through her body to carry her through the fight. The throbbing pain in her chest became a hazy fog at the back of her mind, and she ignored the sound of fractured bones grinding with each step. I don’t think I can take another beating like that. She hustled back to the gate, keeping the Kem between her and Camden. Winds… winds… which technique is that? “Now,” Camden said. He ducked under a punch and twisted to slam the hammer into the back of the Kem’s left leg. He whirled about behind the Kem, shifting to its right side. Josephine’s hammer dug into the back of the creature’s right knee, then spun around to face the Kem. It took a staggering step, howling in pain. The two Soulforged completed their arcs, keeping the Kem between them. Josephine bashed the point of her warhammer into the Kem’s left kneecap, and smiled at the sound of bone cracking. At the Kem’s right flank, Camden swung his hammer’s point into its right knee. The right leg bent in the wrong direction, and the Kem fell backward screaming. Josephine tried to tune out the howl, but dropped her hammer and clamped her hands over her ears. She watched in awe as Camden somehow ignored the piercing cries. He seemed to glow from within as he picked up the Kem’s broken horn. Her father placed the point of the horn over the Kem’s chest and raised his hammer. The hammer rang as it drove the horn into the Kem’s heart. A web of cracks exuding light spread from the horn, until the entire crimson body glowed. Flames rose from the light, but produced no odor or smoke. In a few seconds, the Kem vanished, leaving only ash. Camden ignored the spectacle and surveyed the town. Josephine followed his gaze. The fighting in the street had ceased. A few fires still lit the night, but the refugees in the Folly had reformed a bucket brigade. Thick smoke created a haze that hung over the town. Several dead bandits lay outside the tavern’s doors, their bodies charred. Devoted rushed about, tending the wounded wherever they lay. Two figures stood unmoving before the Friar’s Folly, obscured by the haze. Josephine squinted until she made out their faces. Lyllithe and Marten faced each other, locked in a silent mutual glare. 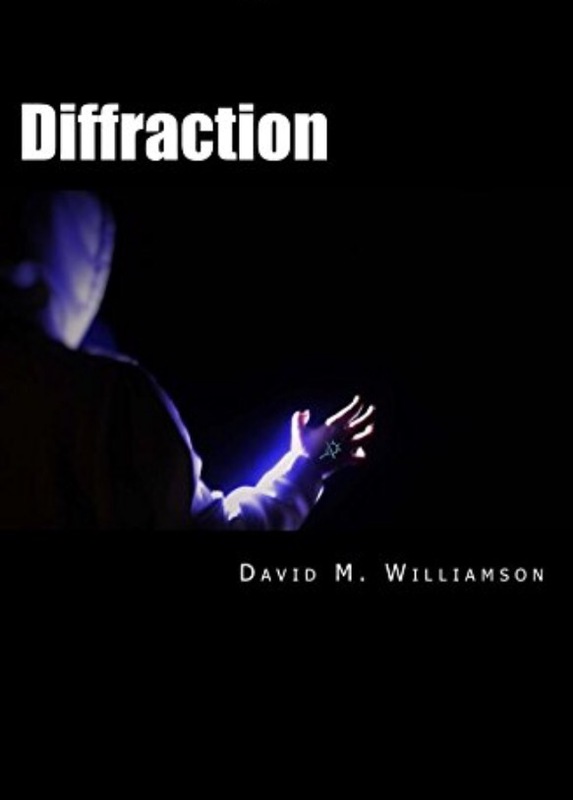 I hope you’ve enjoyed these first nine chapters of Diffraction. If you want to see where Lyllithe and Josephine go from this point forward, you can order a paperback copy from CreateSpace here, or get the Kindle edition (or paperback) from Amazon here. An exciting batch of “swag” arrived from the organizers of National Novel Writing Month, a.k.a. NaNoWriMo… a stack of postcard-sized explanations of the event, and a small batch of stickers to give to participants. If you didn’t know, NaNoWriMo is an annual writing challenge where participants attempt to write a novel of at least 50,000 words between November 1st and November 30th. It was the driving force behind me finishing my first book, Not to the Swift. I’m a Municipal Liaison this year, which means I get to help organize events and tell people what’s going on so that interested writers can get together to share in the joy and misery. Also I got a sweet T-shirt. It’s one month away, and it costs nothing but effort and commitment. Whether you outline and plan every detail in a story, or loose wild characters into a fun setting to see what happens, it’s an exciting time to hone your craft. And especially if you think, “Well, I can’t do that,” know that plenty of us said the same thing for years. Then we sat down and did it. So you can too, and we’d love to cheer you on along the way. There’s plenty of time to sign up. Instead, I’m uploading a revised copy of the manuscript, after which I’ll have to wait (again) for the review process to complete. Being this close to putting a novel on the market is exciting and a little nerve-wracking. Like a cold pool on a hot summer day, I just want to dive in and get the initial discomfort over with. 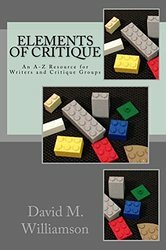 But the very first lesson in my Elements of Critique e-book is about proper format and appearance. And when I saw a missing paragraph indent on the very first page of the novel, despite a couple thorough reviews, I knew I needed to take another look for more issues. I fixed three: the original offending indent, a quotation mark all by its lonesome, and an overlooked * * * * * I often use between scenes in my manuscripts. None of those would have been the end of the world. But I know how easily I become critical of self-published but poorly edited works. I know how distracting a missing punctuation mark or misspelled word can be. If you’re going to do something, they say, take the time to do it right. No one will care that I had the best intentions to release a proper draft. All they’ll see is the result of my effort. So I need to make sure that the final product is correct. Yep, I have nothing to complain about. 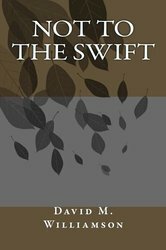 The book is titled “Not to the Swift,” from a verse in Ecclesiastes that reminds us the victory in a race is not always to the fastest, nor is triumph in battle always to the strongest. The “race” to publish quality work takes time too, which is frustrating. But I’ll be happier with the end result, and more importantly, so will the readers. When I was about 9 or 10, there was an annoying girl at the local swimming pool who – in the middle of a crowd of swimmers – would pull down my swim trunks while I was swimming in the deep end. “Pantser” sounds like a middle school term for such a person. First, as soon as I realize there’s a problem, I can pause my effort, brainstorm a solution, and get back on track. Going back to Google Maps, if I miss a step or take a wrong turn, I can stop and course-correct to prevent wasted effort. I don’t have to finish a full manuscript before addressing glaring errors or issues. The minute I see the “Wrong Way” sign on the side of the road, I can stop and turn around. Second, laying out key decisions, actions, and events well in advance, which makes foreshadowing possible. I know how the external and internal conflicts are going to be resolved. As a result I can build toward a more dramatic climax in the story. I don’t have to be surprised with my characters when suddenly we reach the final battle. The first drawback to those key qualities are a lack of spontaneity or creativity in the writing process. If suddenly an idea strikes me in writing scene A, I may not be able to include it, because of how it will impact scene B leading to scene C. At best, I would have to make some changes to the outline to incorporate this change. Pantsers get the liberty of doing whatever they want and fixing issues later. The second drawback is that once the story is “told” in my head, it feels “written” to me. I already know how it’s all going to play out. As a result, I can lose motivation for the tedium of putting all those ideas down on paper (or word processor screen). Still, the benefits outweigh the potential trouble. What I don’t want to do is find myself several thousand words into a story only to discover glaring flaws in the basic premise. To me, that takes away the fun and joy, like getting lost on the way to the party, or getting pantsed in the swimming pool. What’s your favorite method to organize your writing efforts? Are you a planner or pantser, and why do you like that approach? Maybe there’s an aspect to either side that I’m not considering. Let me know in a comment.